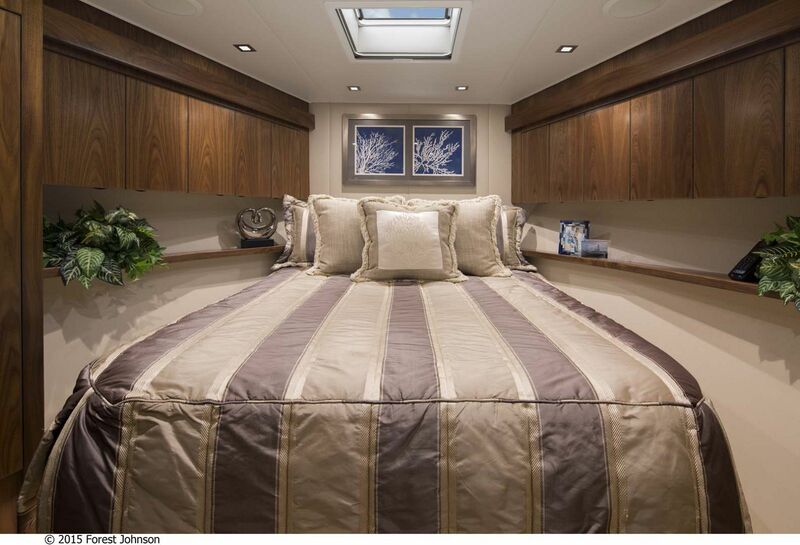 How do you improve on the already-perfect 80 Convertible from Viking Yachts? 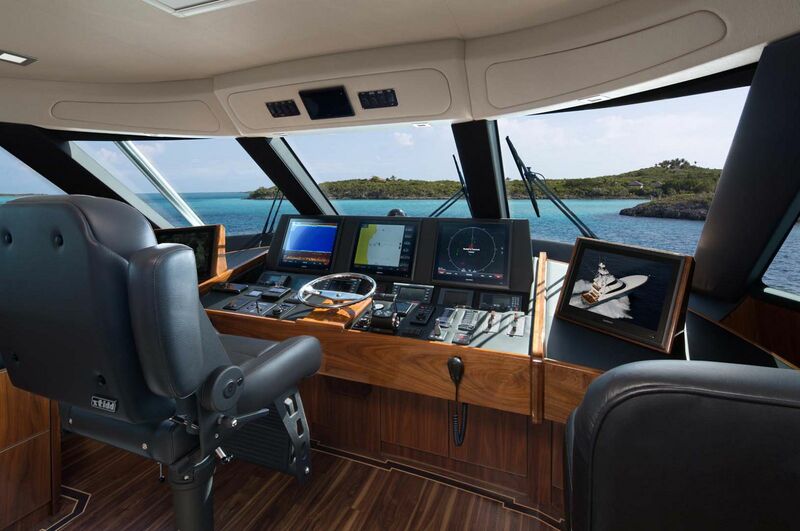 You enclose the bridge for owners wanting an air-conditioned, weather-proof upper helm and lounge. 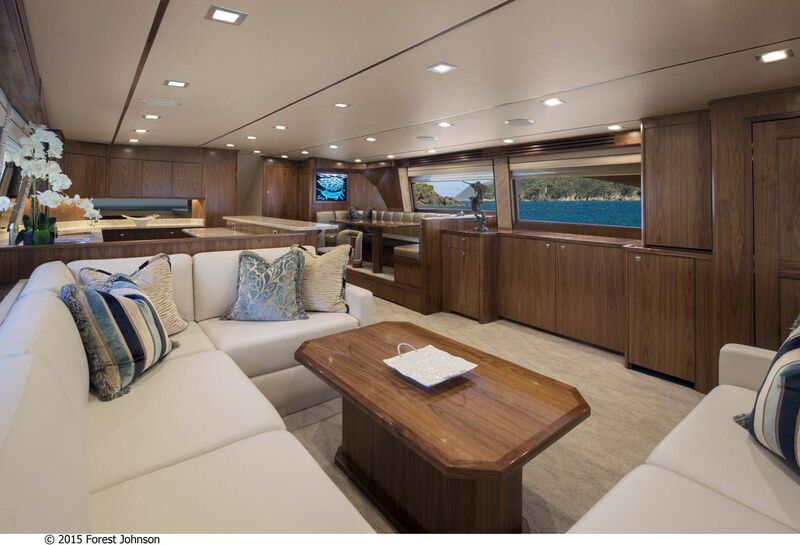 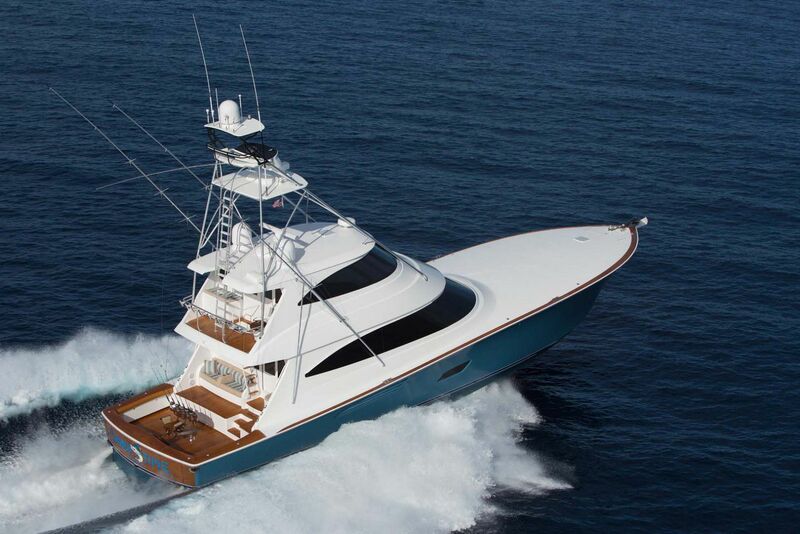 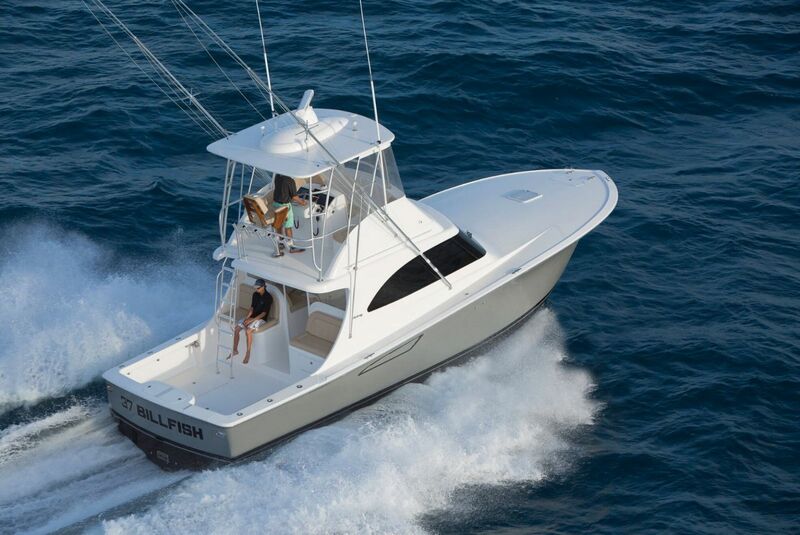 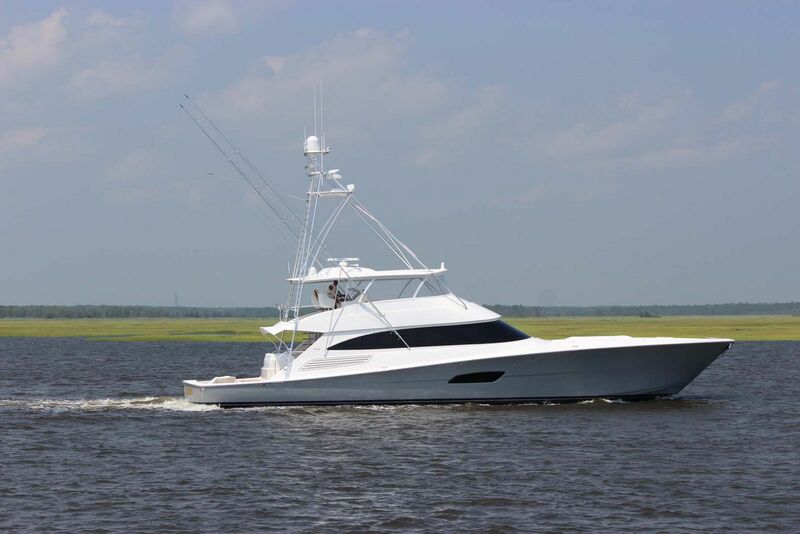 The Viking Yachts 80 Enclosed Bridge is a stunning example of the bluewater tournament-ready sportfish that Viking has consistently produced from 37 to 92-feet. 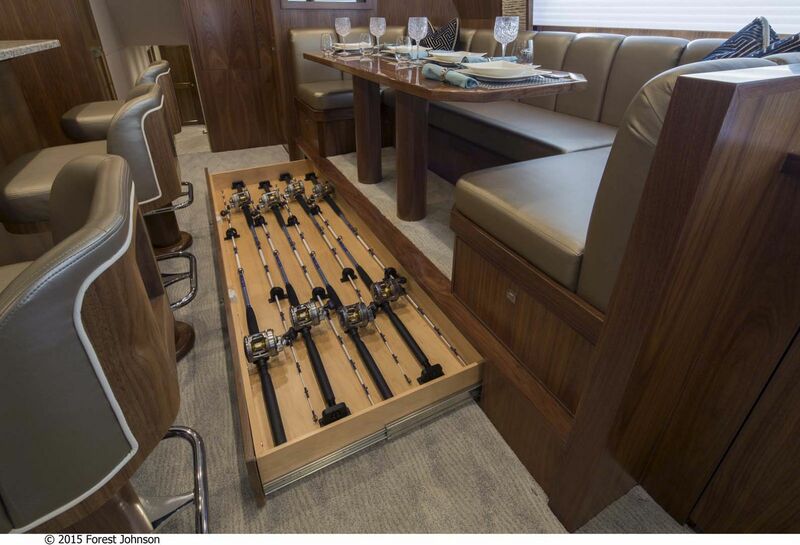 Outside on the cockpit, which measures 216-square feet, everything is rigged for the serious tournament angler. 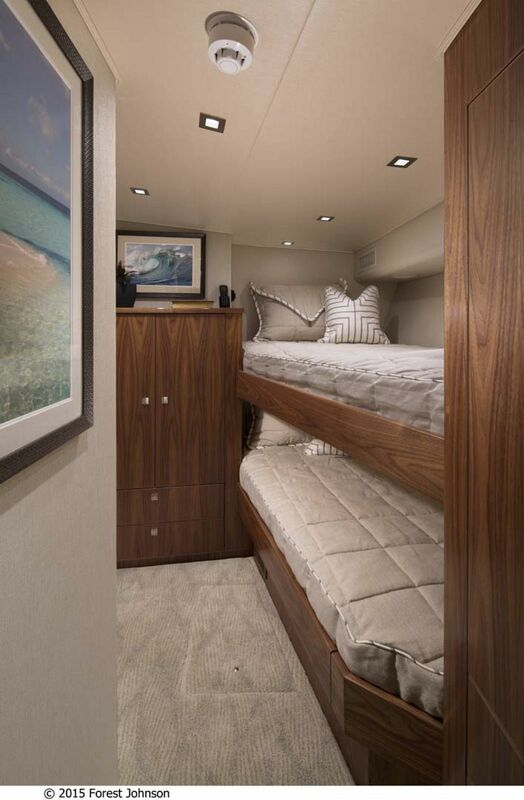 This fishing-focused area includes a transom door for pulling in your catch, tackle storage, freezer, live well, fish boxes, and an ice chest. 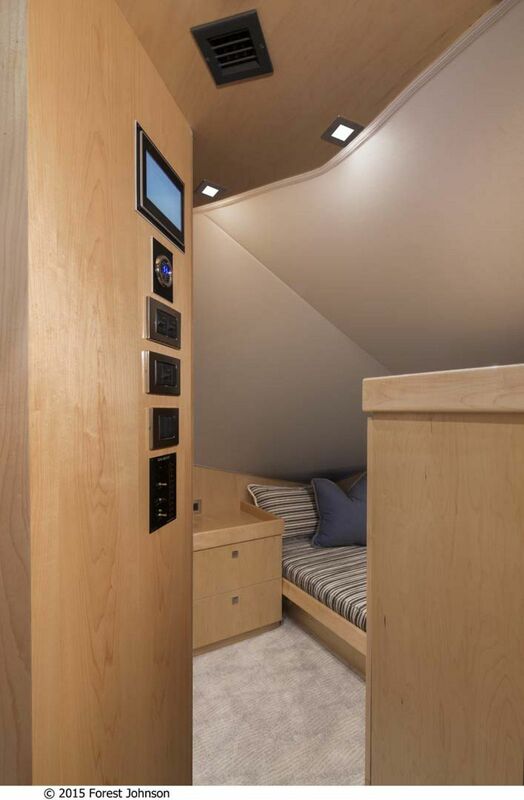 And of course, looking down onto the cockpit is the custom tuna tower from Palm Beach Towers that includes all electronics and equipment already installed. 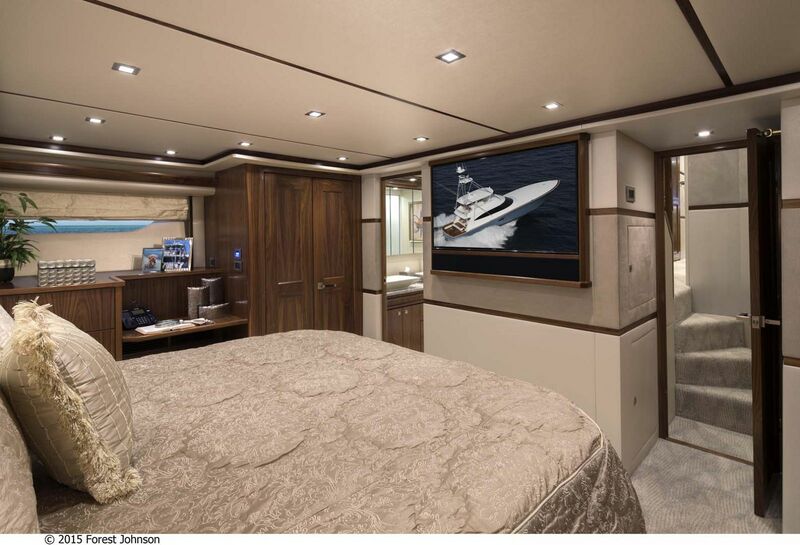 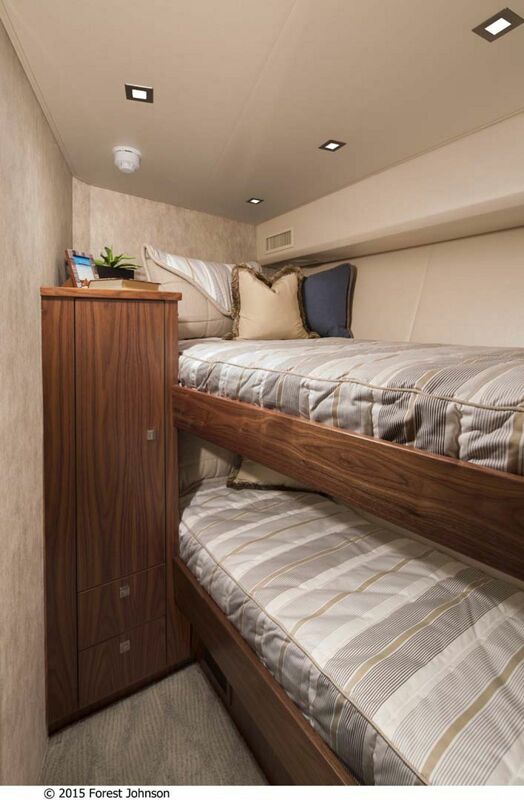 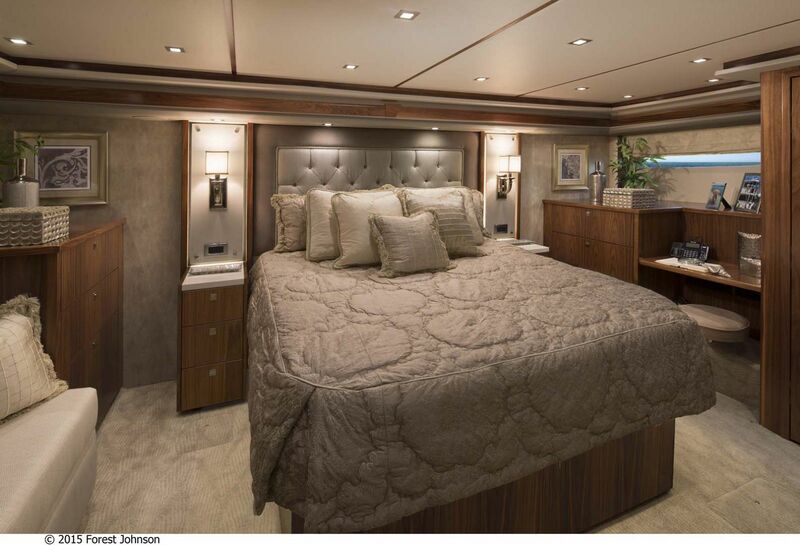 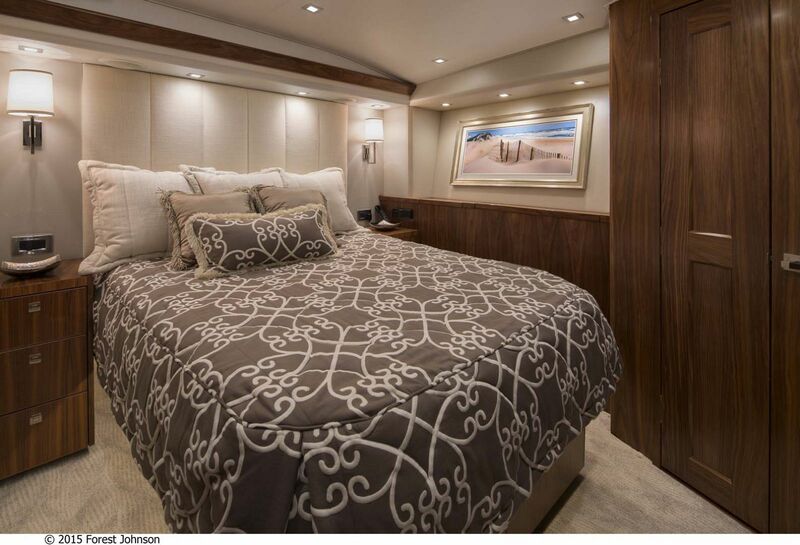 The Viking 80 Enclosed Bridge has five staterooms on board including a luxurious full-beam master suite that boasts the full king-sized walk-around bed just like her bigger sibling, the 92 Convertible. 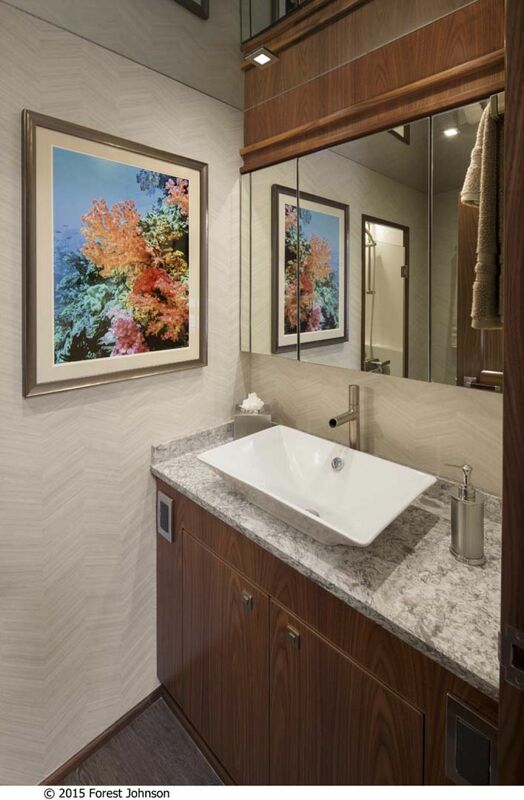 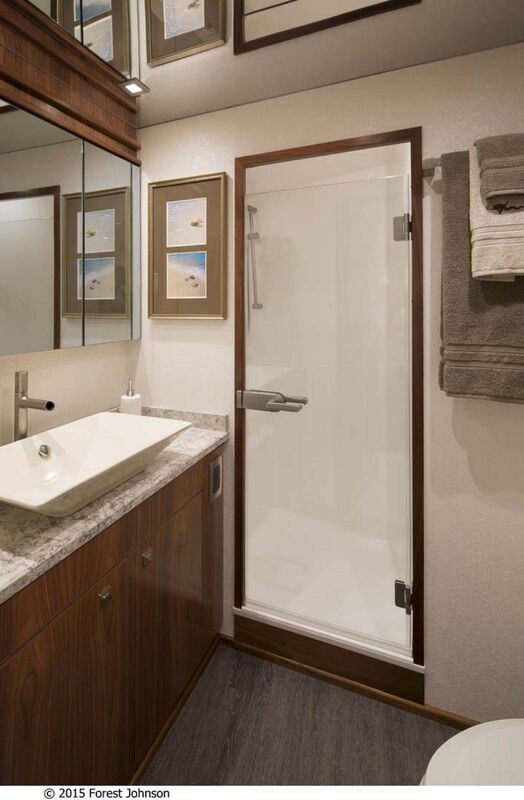 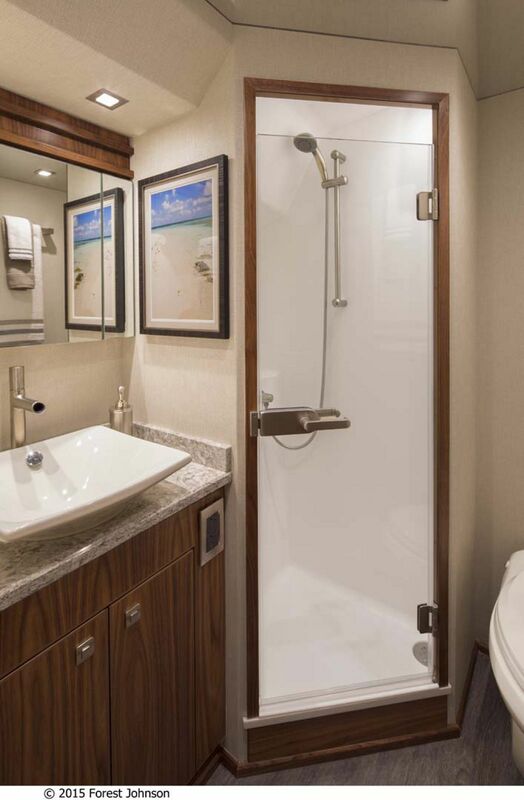 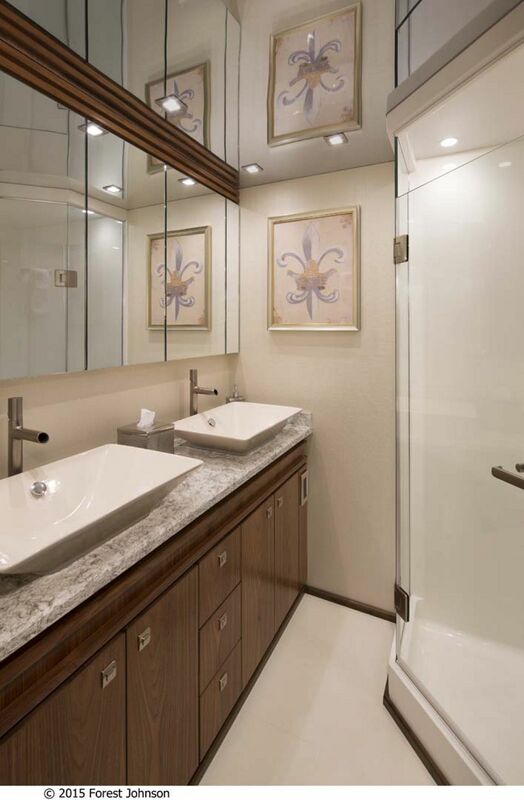 Each stateroom on board has their own private head and shower in true Viking fashion. 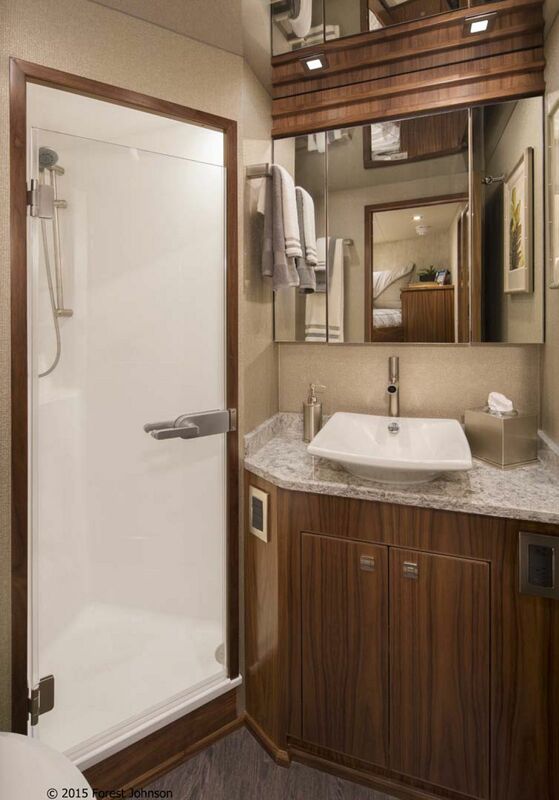 And with a 400-gallon water capacity, all of your guests on board will have plenty of water for the duration of your trip. 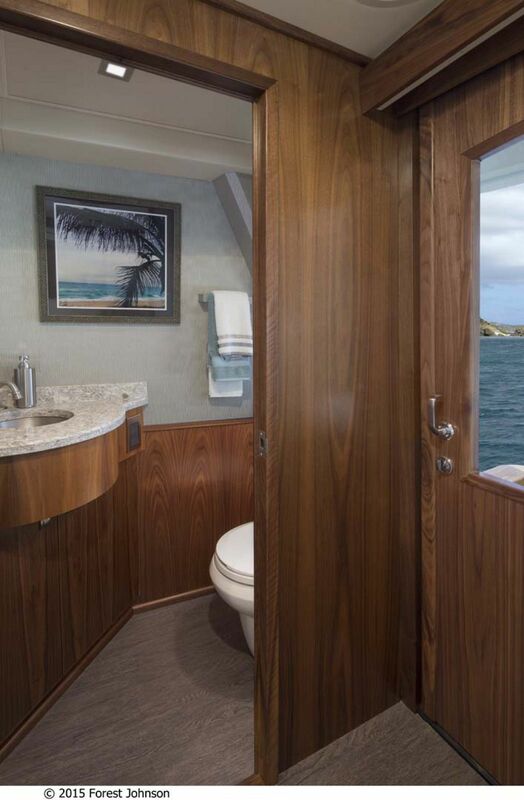 All that boat can reach 40+ knots? 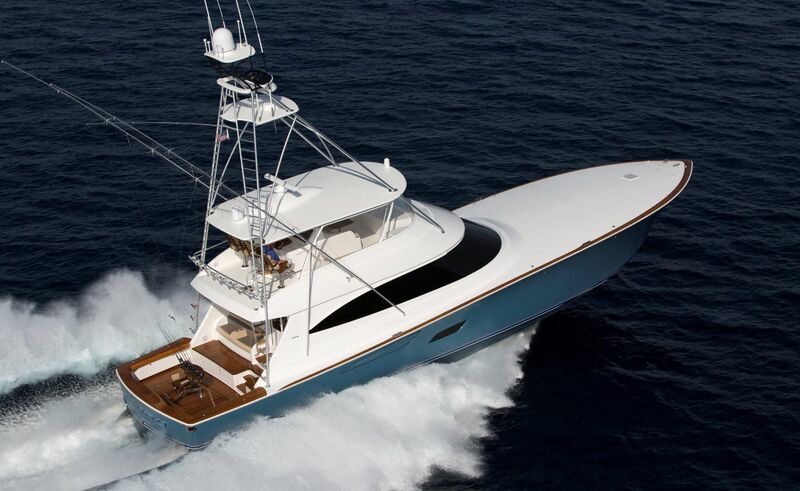 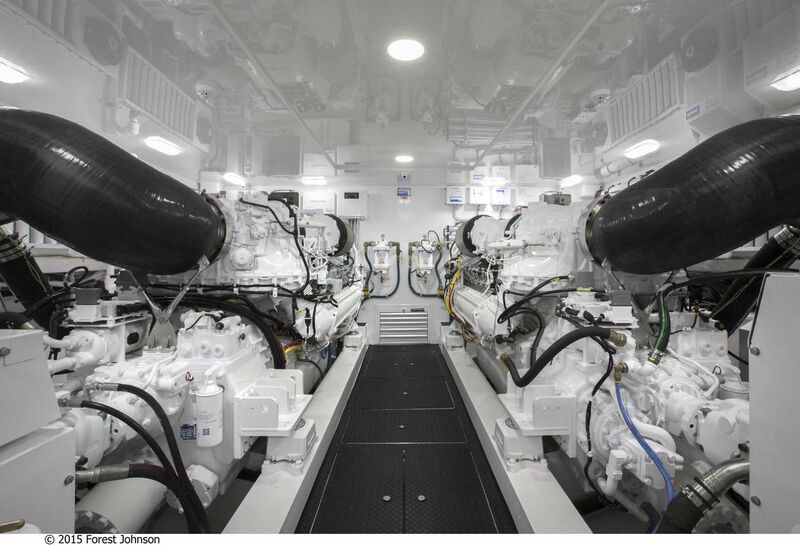 Powered with tier 3 MTU Series 2000 V16 M96L engines each pushing over 2,600HP launches the 80C right out of the water and can hit max speed in no time with a comfortable cruise in the mid 30 knots. 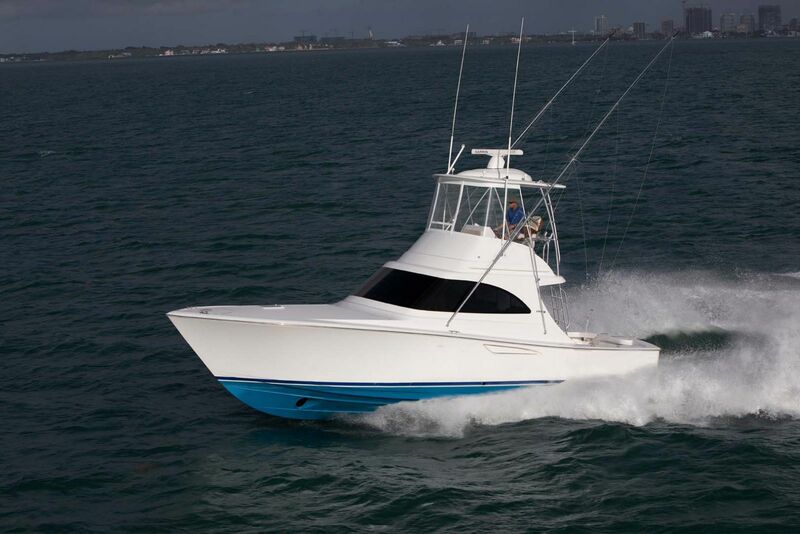 There is plenty of power on board as well to run the A/C with two 29KW Onan generators so you never have to worry about fishing in the heat. 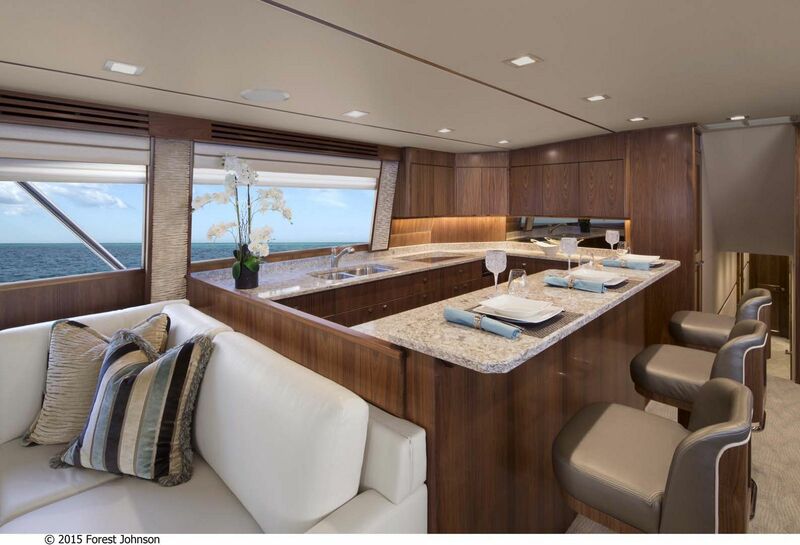 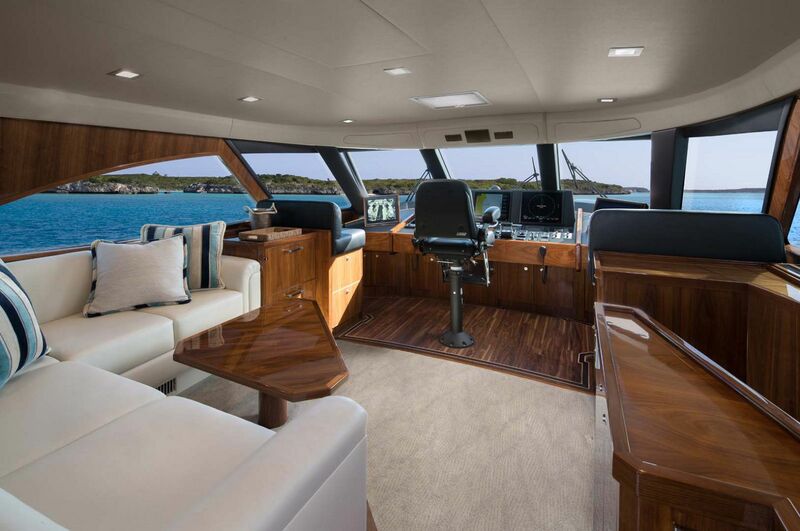 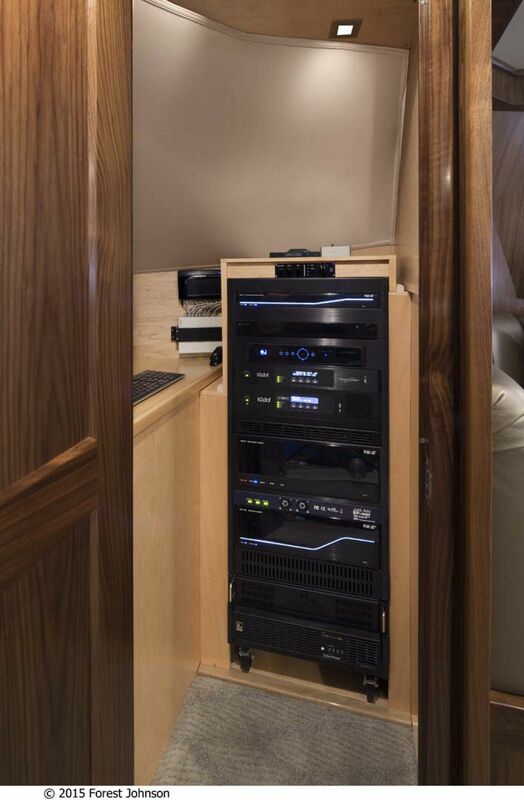 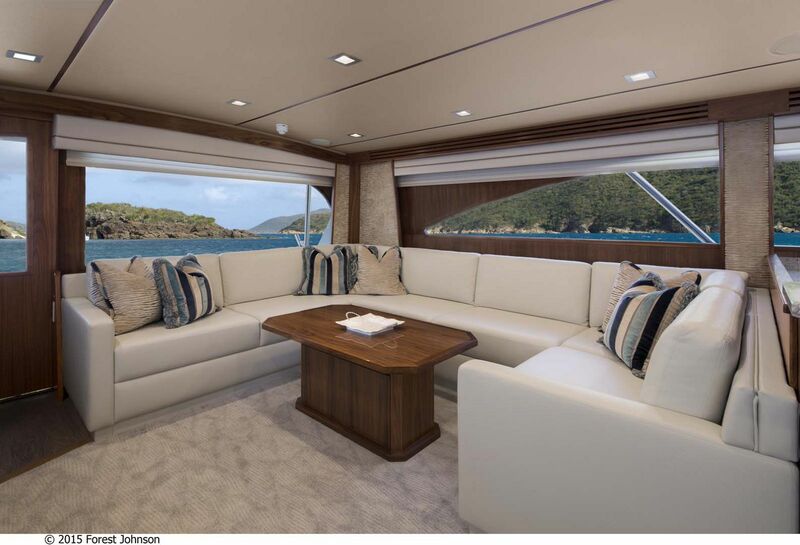 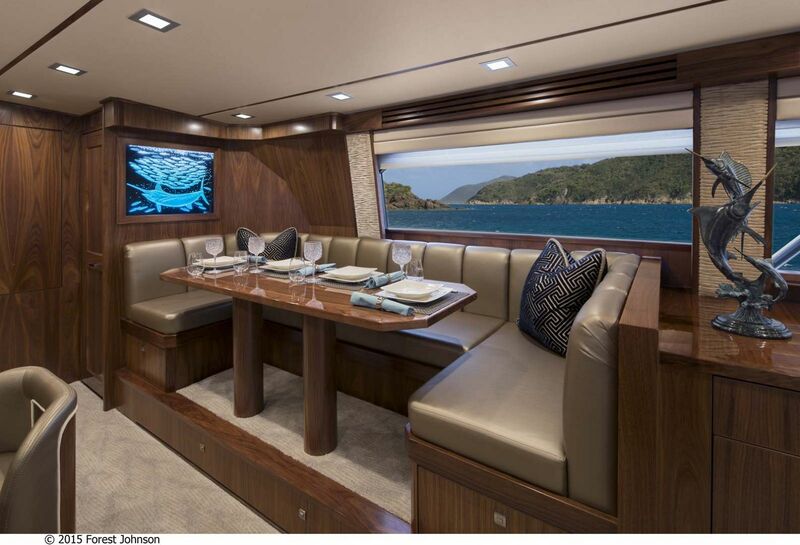 Contact your Staten Island Yacht Sales Professional today to schedule a tour of the Viking Yachts 80 Enclosed Bridge.